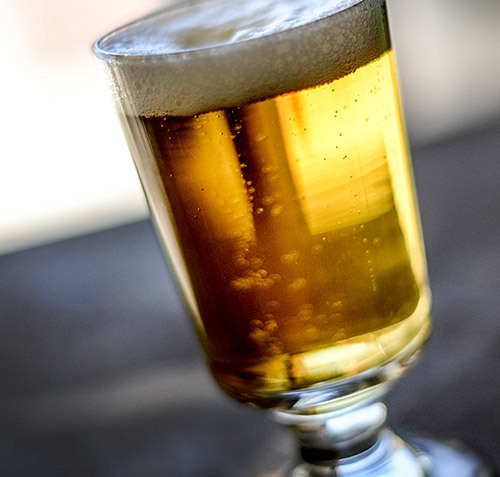 Itching to brew a lager, but can’t hit those chilly fermentation temperatures? 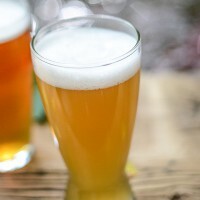 Look no further than this light-hybrid recipe which makes for a very lager-like Kölsch using only ale yeast. The late Dr. George Fix first presented this recipe in the 1997 Zymurgy Special Issue, and then again in the article “30 Years of AHA and Zymurgy” (November/December 2008 Zymurgy). 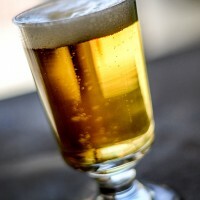 Fix’s opinion on Kölsch is that “slightly bigger is better.” From his travels to Cologne, where the style originated, Fix thinks true, commercial examples of Kölsch are hoppier and maltier than described in the AHA style guidelines. Wheat is also an important element for achieving an authentic Kölsch character. 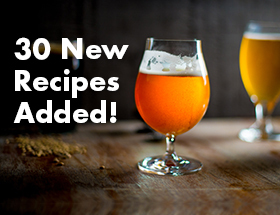 View the Homebrew Recipes archive for past recipes posted to HomebrewersAssociation.org, as well as the Homebrewopedia for a wide selection of recipes, including past National Homebrew Competition winners. Mash grains at 104°F (40°C) for 90 minutes. Raise temperature to 140°F (60°C) and hold for 90 minutes. Raise to 158°F (70°C) and hold for 60 minutes. Ferment in primary for seven days at 68°F (20°C). Rack to secondary and hold at 50°F (10°C) for four weeks. Steep crystal malt in 2.5 gallons (9.5 L) of 160°F (71°C) water for 30 minutes, then remove grains and bring to a boil. Add 45 minute hops and boil 15 minutes. Add 30 minute hops. After a 45 minute boil, strain into fermenter with enough cold water to make 5 gallons (19 L). When temperature drops below 68°F (20°C), aerate and pitch yeast. Follow the directions for the all-grain recipe for fermentation.